Explore the Wild Side of New Europa! From the darkest jungles of Africa to the rooftops of London, animals are everywhere in New Europa. Curious Creatures offers a glimpse into the less civilized side of Castle Falkenstein, drawing out into the light the marvelous, the monstrous, and the mythic for your edification and delight. Brought to you from across the Faerie Veil and written by one of the most knowledgeable naturalists of all time, the reader will find within these pages: A bestiary offering in-depth analysis of over thirty new creatures as well as statistics for their inclusion in your Adventure Entertainment. New and clarified rules for the use of creatures of all types in your Adventure Entertainment. A new Magick lorebook as well as insight into the existence of sorcerous familiars in New Europa. Details on Sphinxes, a potentially sinister power operating from the shadows. Rules on choosing a True Unicorn, Beast Folk, or wild Child as a Dramatic Character. Dinosaurs! New Dramatic and Host Characters to enliven any event set in the Age of Steam. A new tale of heroics and adventure set in a land where fiction, fantasy, and history collide! All this and more can be found in this volume. 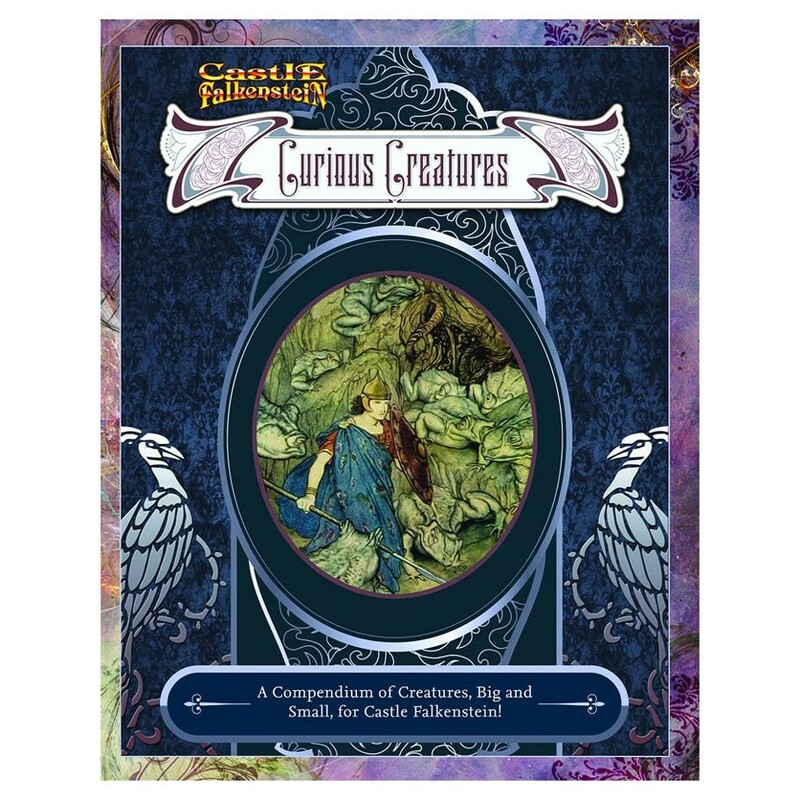 Curious Creatures is the definitive bestiary for all enthusiasts of Castle Falkenstein.